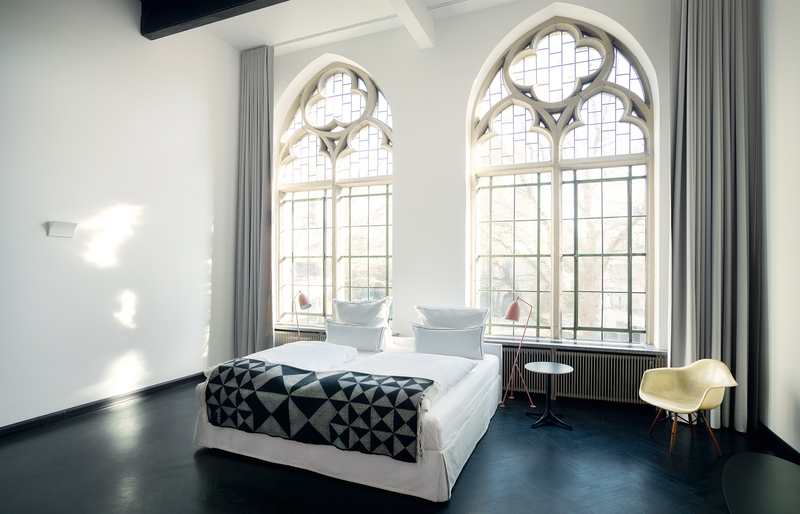 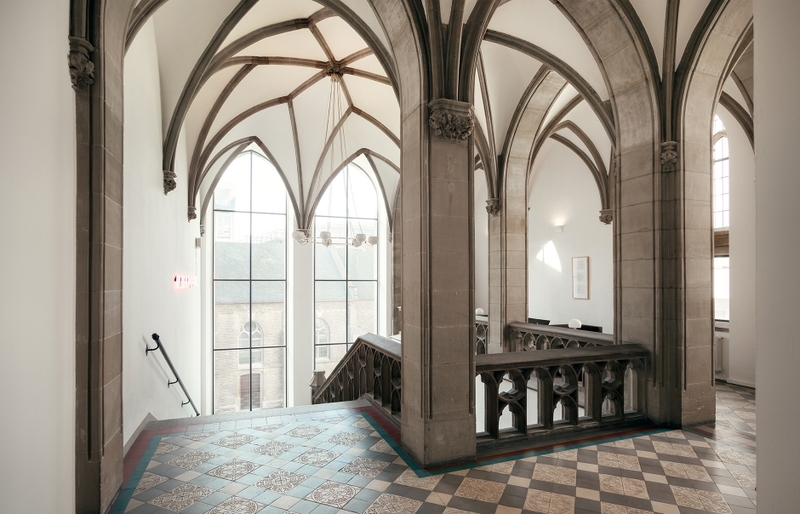 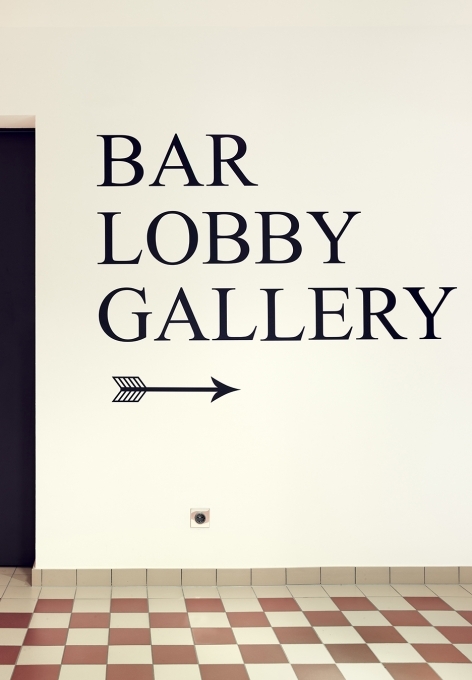 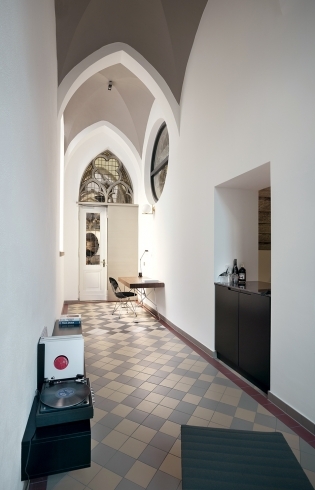 Located on a quiet square in the shadow of the Basilica of St. Gereon, the building of former city archive blends Neo-Gothic architecture with museum-worthy collection of design, art, and photography. 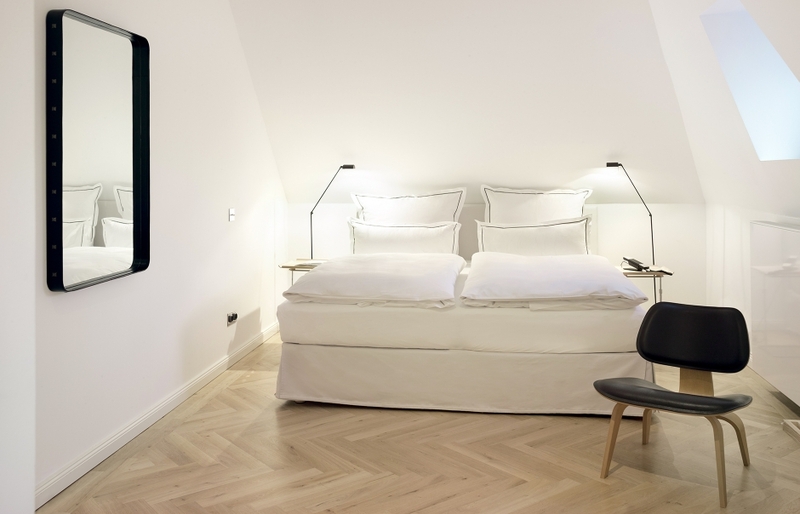 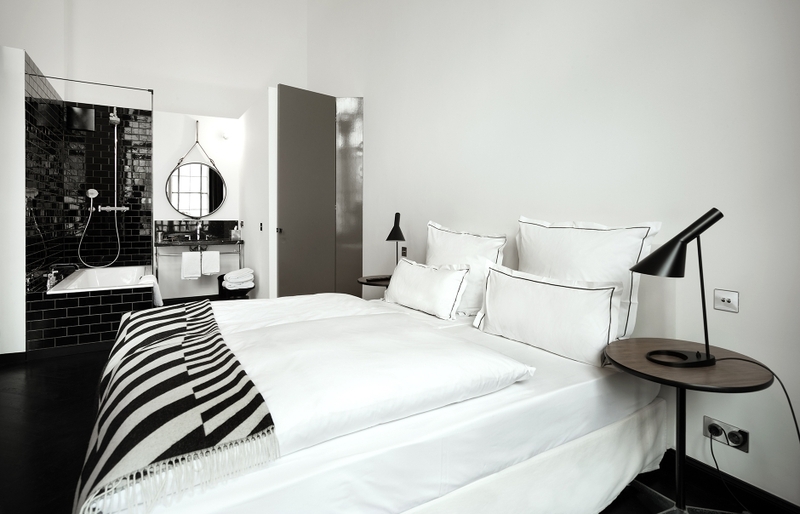 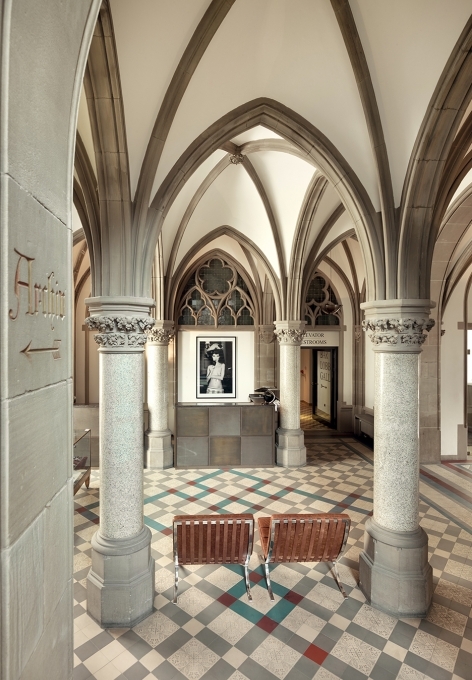 Qvest Hideaway continues to be an important chronicle, albeit of a modern nature this time—and is a hidden gem of a hotel, in the heart of Cologne. 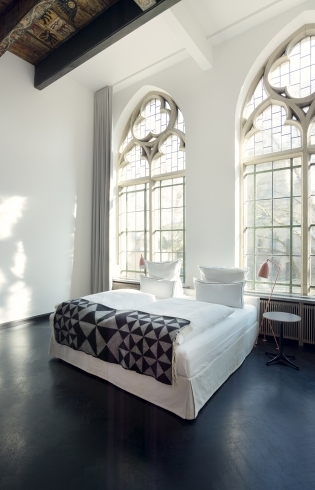 QVEST links history and modernity by combining neo-Gothic architecture with a curated collection of furniture, contemporary art, and photography. 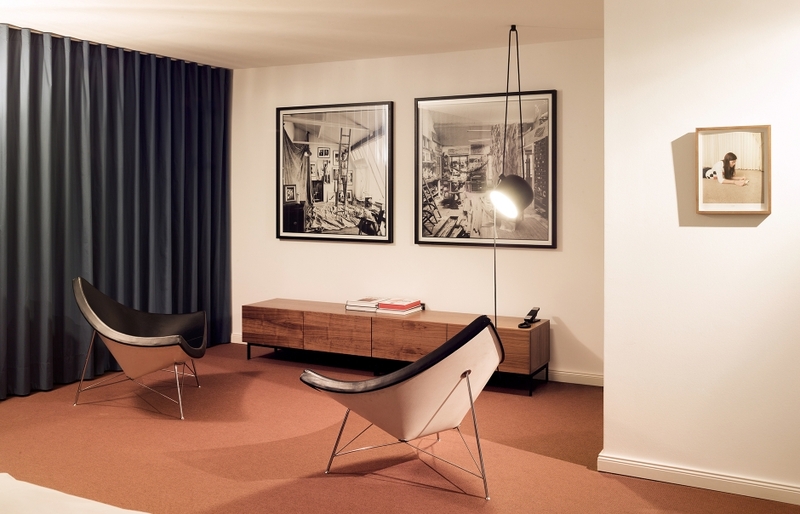 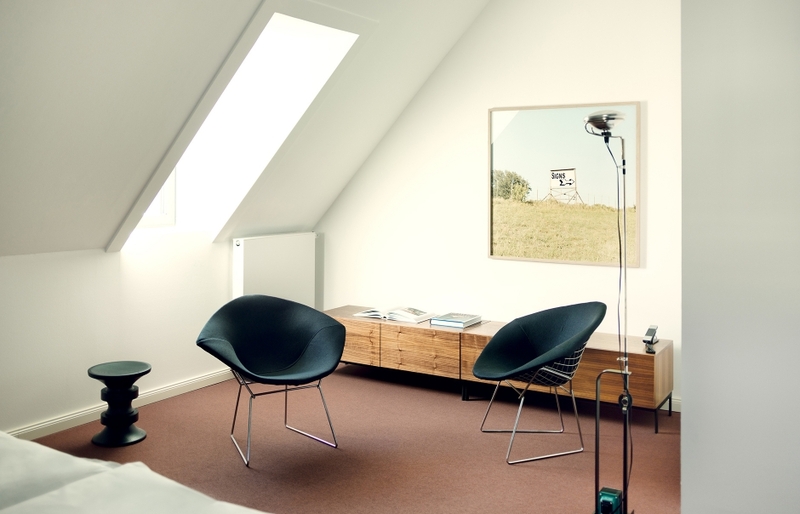 Thanks to the owner of QVEST magazine, Michael Kaune, whose love of modern design manifests itself not just in the pages of this niche art-photography-design-culture publication but also in his contemporary photography, this hotel is a mid-century and Bauhaus lover’s dream. 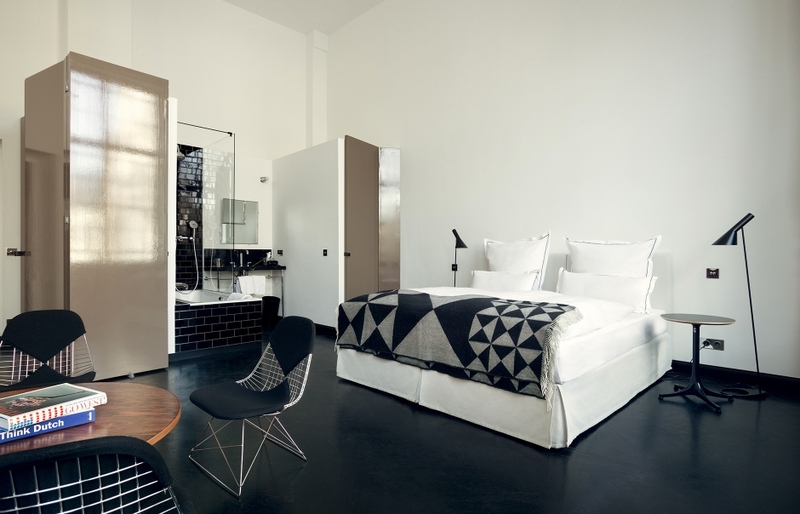 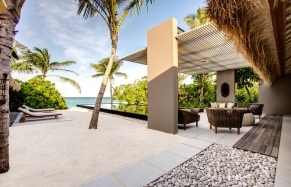 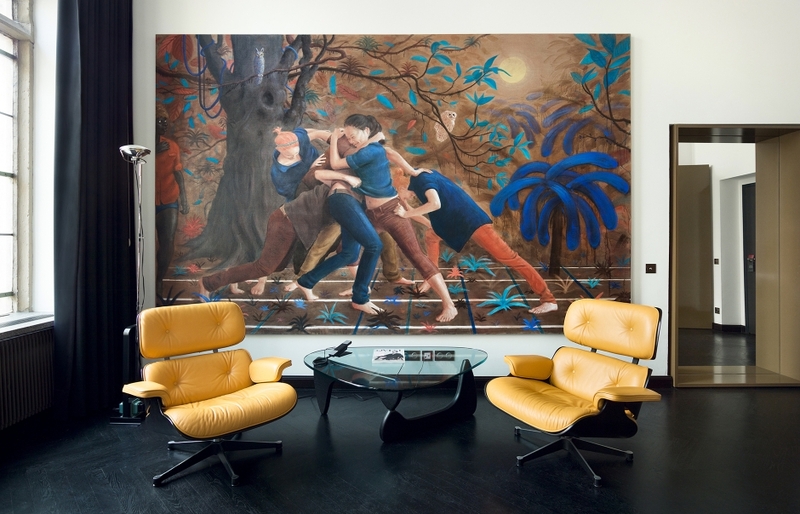 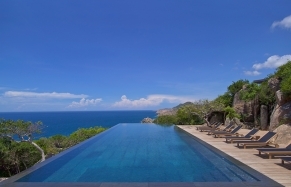 With large parts of the hotel decorated with Kaune’s personal collection, the spaces form a veritable design museum, complete with the gallery/shop where guests can pick a souvenir from a carefully curated furniture and design selection. 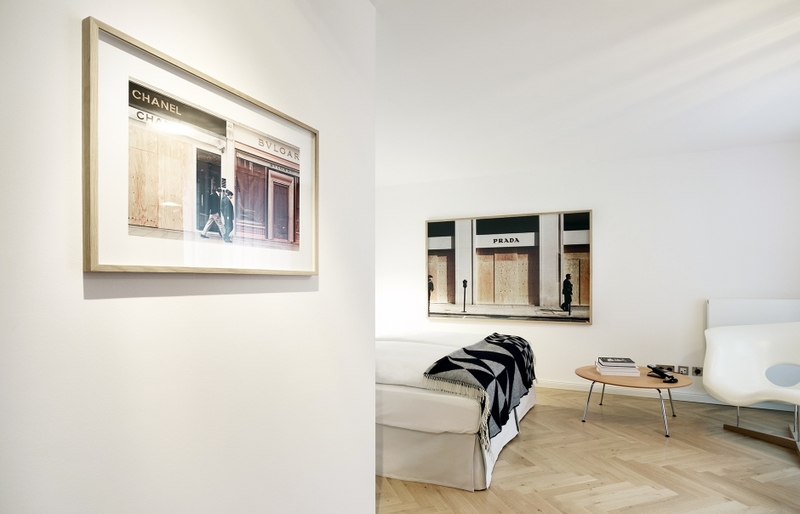 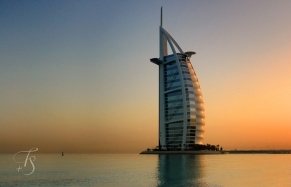 And in lieu of television sets, QVEST offers a small library of art, design, and fashion literature in every room. 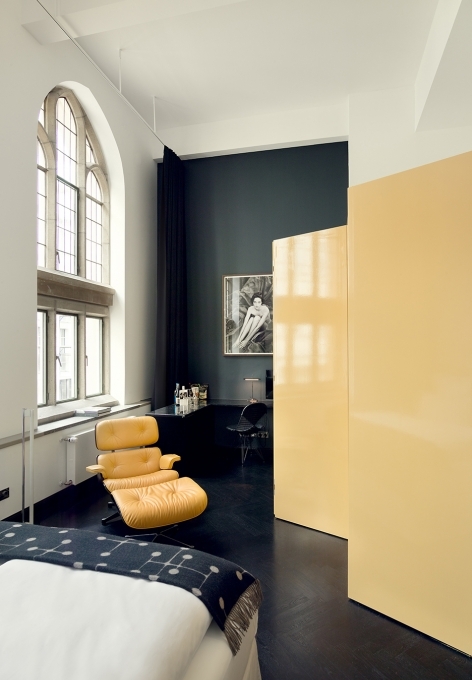 The hotel’s interiors are filled with design classics by the likes of Charles and Ray Eames, Arne Jacobsen, Corbusier, and Mies van der Rohe. 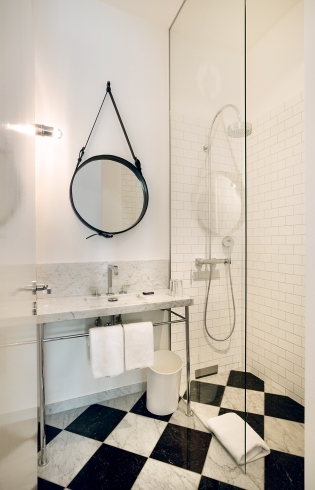 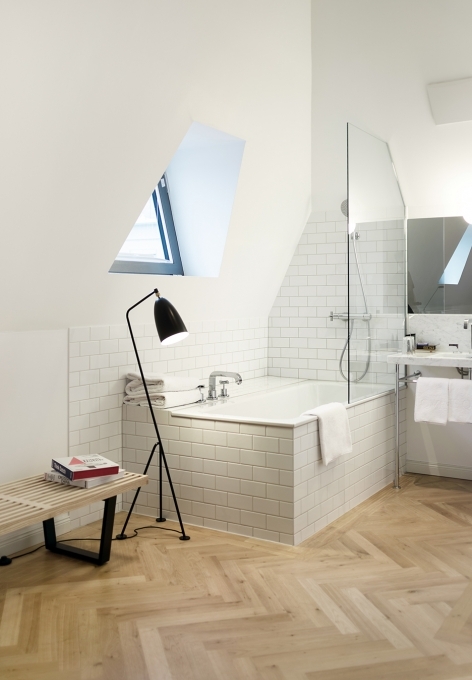 The bathrooms are furnished with Parisian Metro tiles with quirky details, such as the “Grasshopper” floor lamp by Greta Grossman. 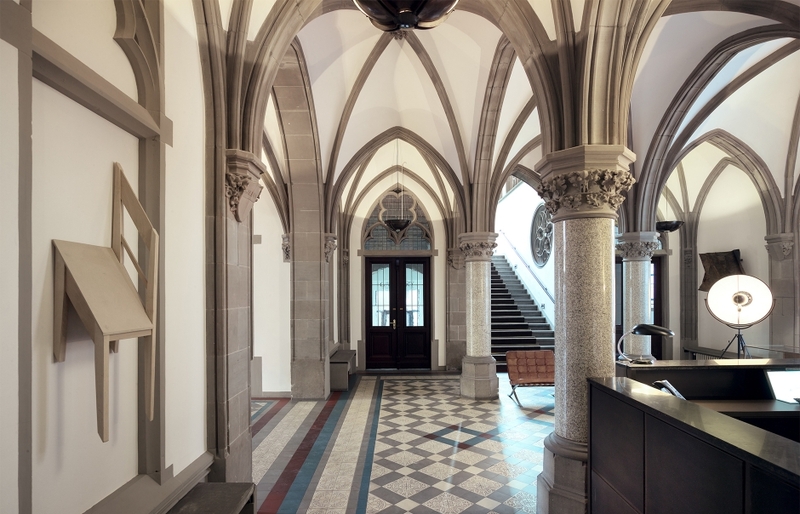 In the lobby, a striking vintage brass and Belgian bluestone front desk greets guests. 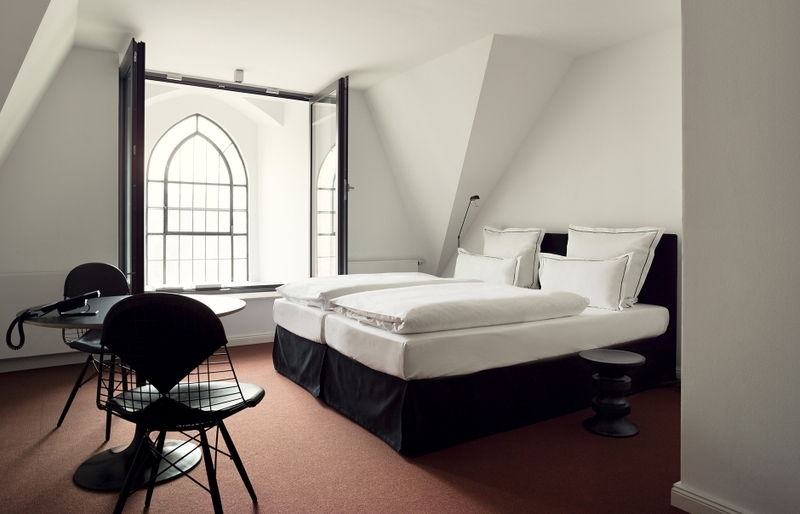 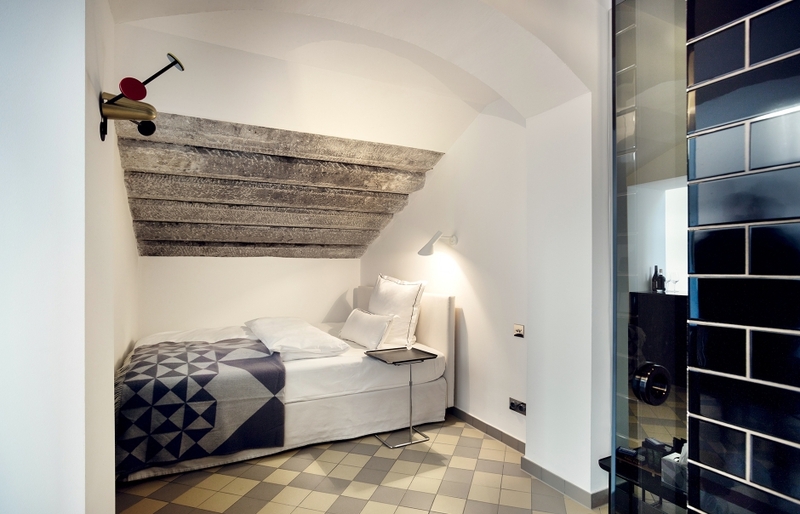 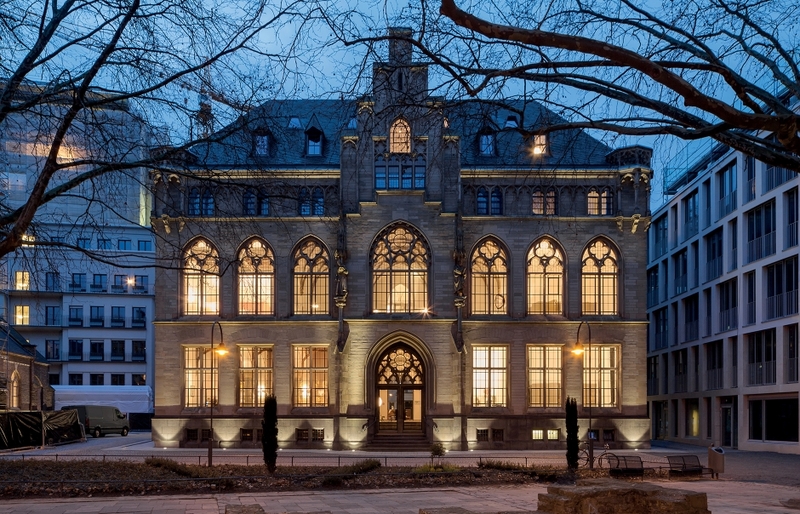 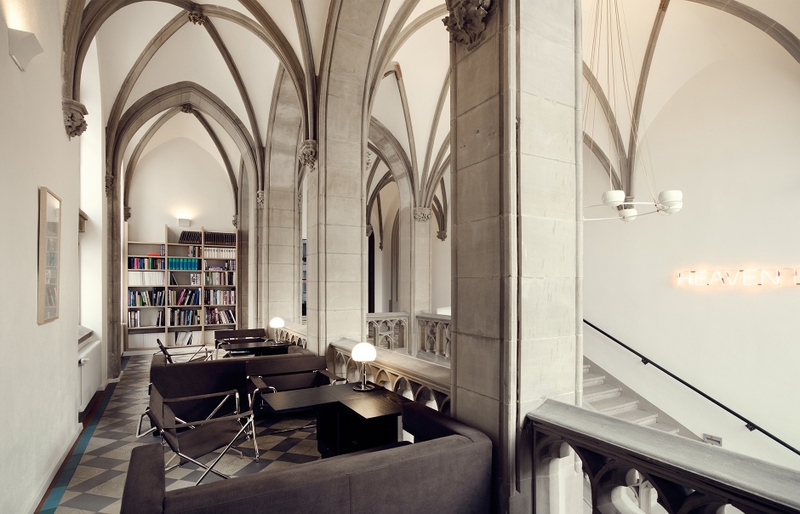 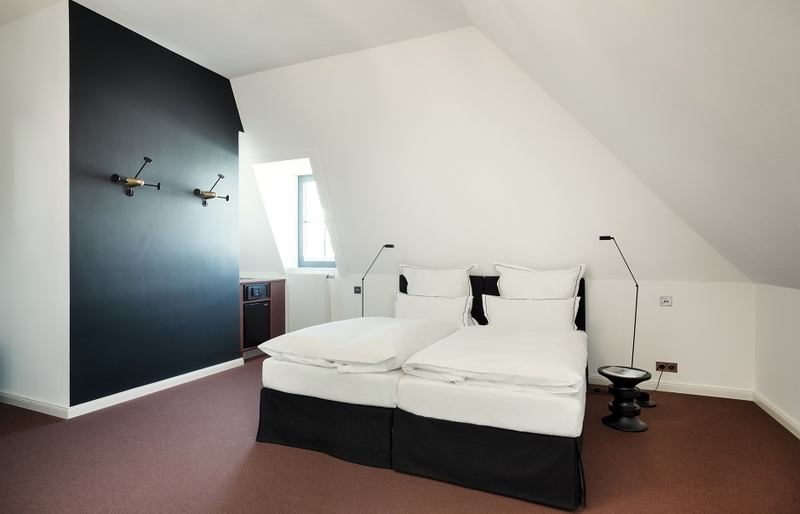 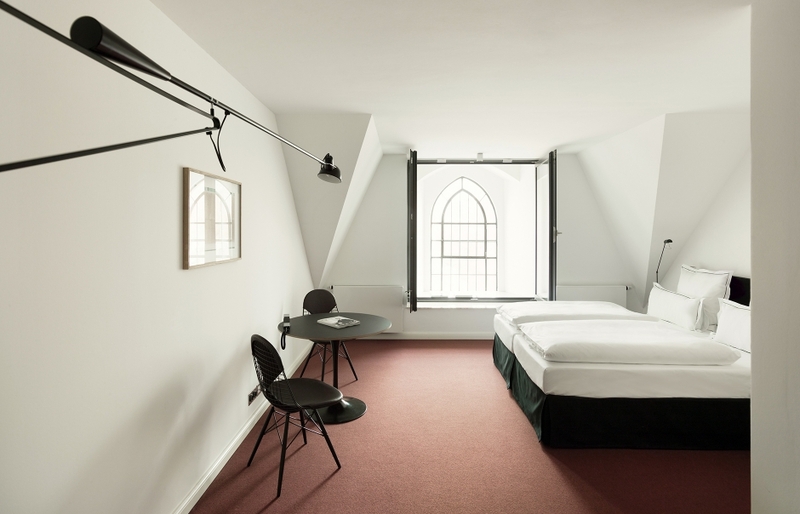 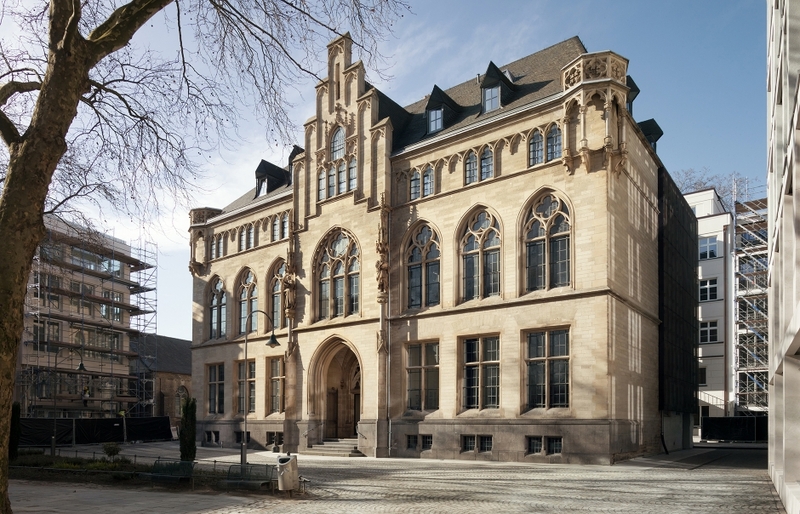 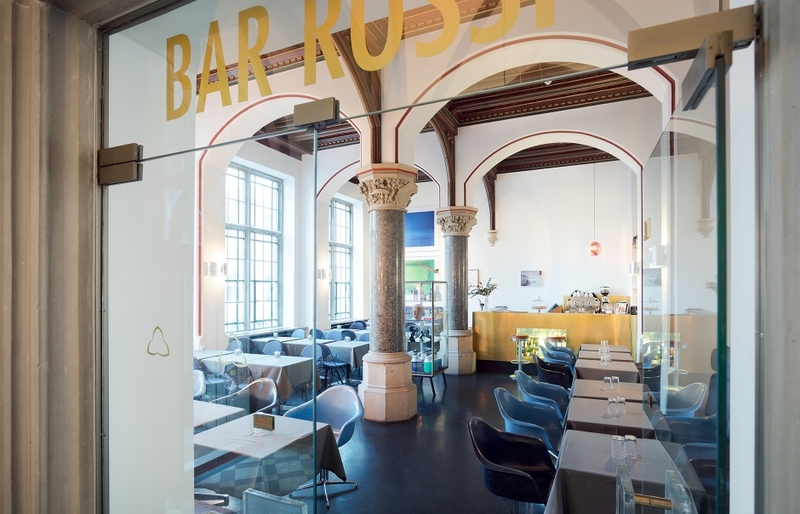 The hotel’s 1897 heritage-listed building, formerly the historic archive of Cologne, has undergone two years of extensive renovation. 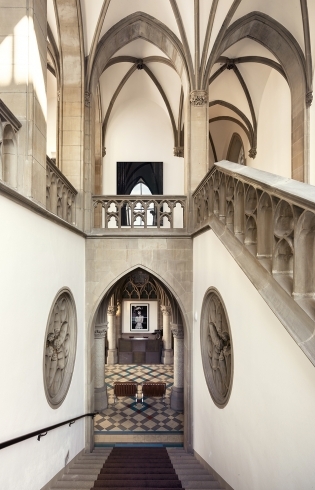 With much of the Neo-Gothic architectural frame left intact, each of the 34 rooms and suites are cut differently and befittingly furnished with individual character. 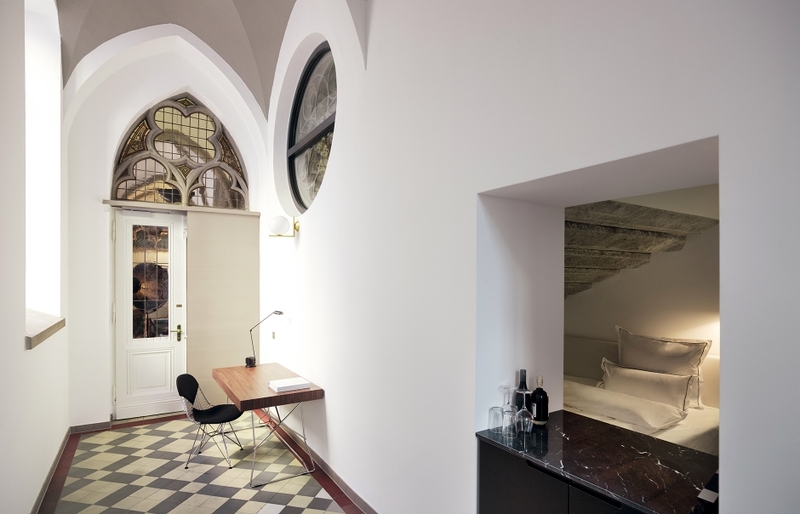 Some of the suites feature six-meter high cross vaults, while the Salon Suite boasts a hand-painted medieval wooden ceiling from 1390. 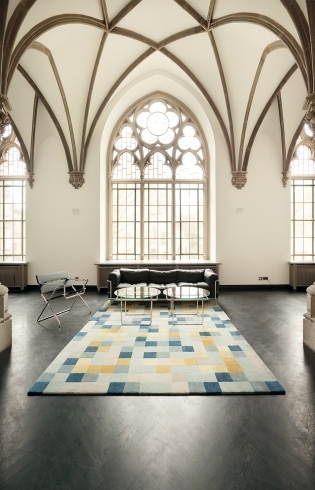 Taking advantage of the space and scale of the historic building, today the QVEST is still and archive—of modern design. 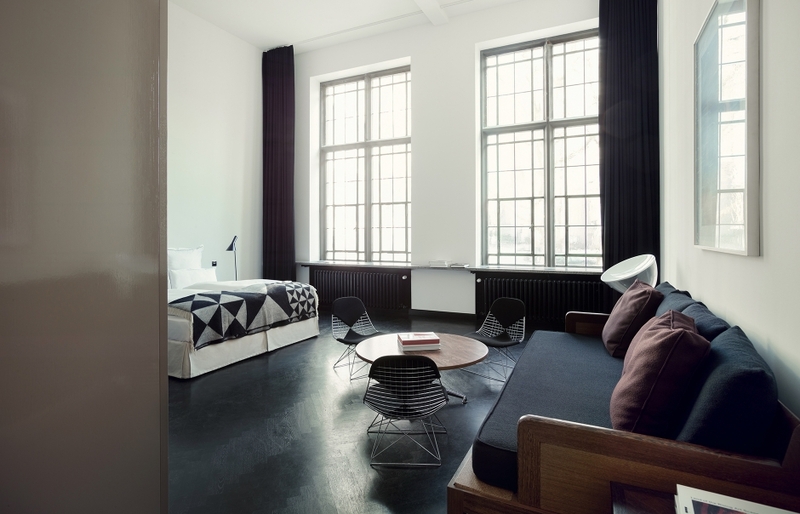 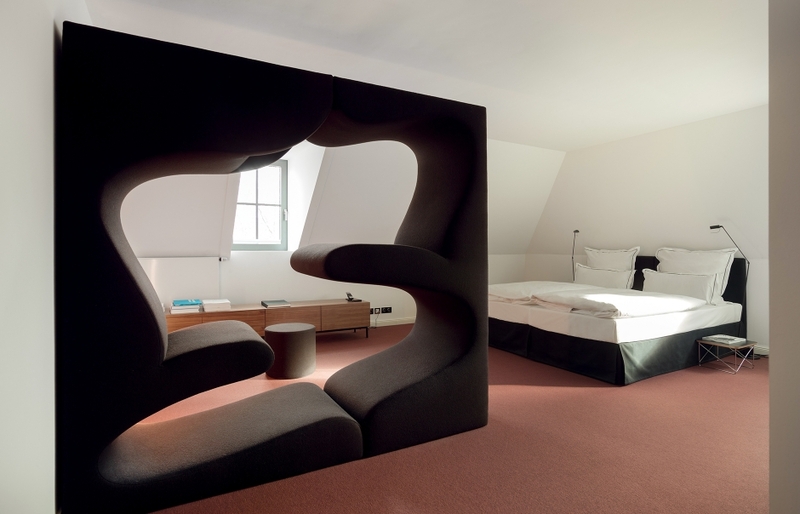 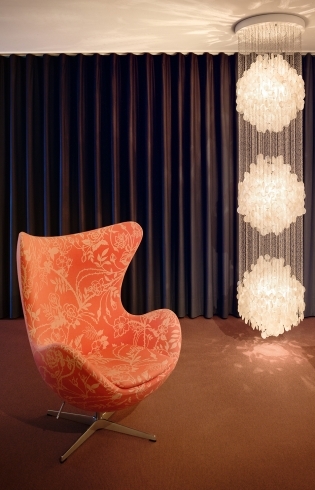 Photos and parts of the text courtesy of Design Hotels™.